As the world’s leading supplier of textile dyes, DyStar markets a full range of modern, high-quality dyes for wool covering all dye classes. 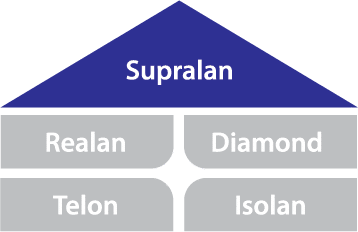 To help our customers select the right dyes from our extensive product ranges, we focus on the Supralan range. Supralan dyes meet rising demands for versatile, economical and high-quality dyes. A product range for reliable and economical dyeing of wool in all forms for dyeing. The Supralan range comprises 1:2 metal-complex and acid (milling) dyes. The dyes cover virtually the whole color spectrum. Supralan dyes can be used in all common application processes and enable our customers to respond quickly to changing market requirements. Reactive dyes for black and navy blue, brilliant shades and machine washable wool (e.g. Hercosett articles). Realan dyes are gaining importance in wool dyeing and are a focal point of research and development at DyStar. Well established afterchrome dyes for excellent fastness requirements. These dyes have very good processing and end user fastness properties. They are suitable for dyeing loose stock, tops and piece goods. DyStar offers its customers ecologically optimized recipes and application procedures. Isolan: Is a collective name for all DyStar metal complex dye (MCD) ranges. Isolan dyes are subdivided into a non sulphonated MCD range “Isolan” providing excellent light fastnesses and a disulphonated MCD range “Isolan 2S” providing economical and extremely wet fast dyeings. Telon: This product range brings together all the acid dyes marketed by DyStar and covers the whole spectrum of acid dyes from leveling to milling dyes. The dye suffix indicates the type of dye.